The weather has started to heat up again (we were lucky to have a cool change for a while), I am progressively becoming larger and more uncomfortable (32 weeks today) and school will start again next week! I know many Australian teachers would be hoping there was a couple more weeks to go in the holidays (they are never long enough are they) but alas, not! Instead of suffering the BTS blues, some of my friends and I have decided to cheer you up with a giveaway! My friends and I have teamed up to give you a chance to win 2 fabulous prizes! All you have to do is enter via the Rafflecopter below! There will be one winner for Numeracy and one for ELA. Winners will be chosen on Sunday (Australian time). And because we love our followers, I am also giving away a $10 TpT voucher to say thanks for visiting my page. 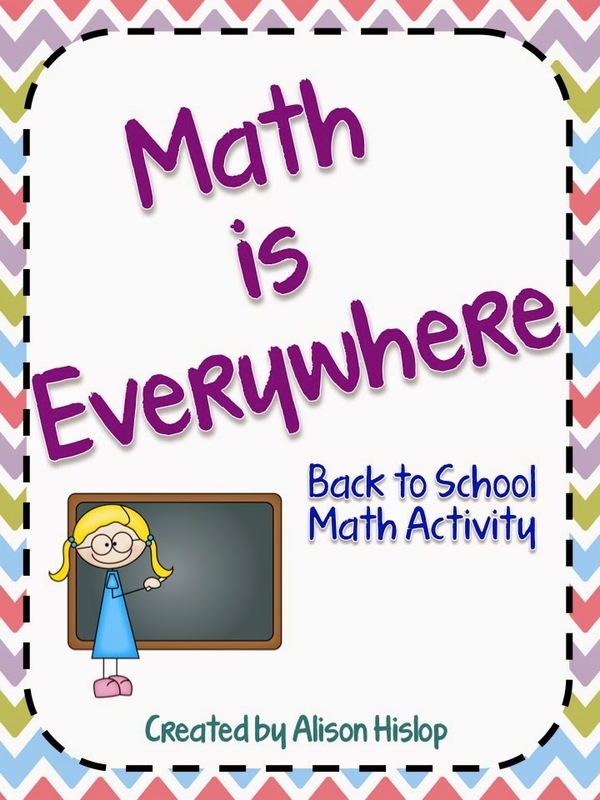 AND here is a Back to School Maths freebie for you too! Click on the image to download, full instructions and worksheet included. P.S. 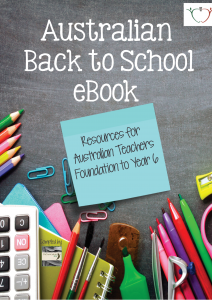 Don't forget to download your copy of the Australian Back to School Ebook while you are on Teachers Pay Teachers! My favorite activity is to put up paper shapes (we use bees) around our school and we go on a scavenger hunt to look for them so the children learn their way around our building (such as the cafeteria, library, office, etc.). I just found your blog and I'm your newest follower! One of my favorite activities is completing several pages about the student and their feelings about school. Then at the end of school we complete the same pages and it is amazing to see how the kiddos have grown. We put them all together in a book and send it home as a keepsake for their first year of school. One of my favourite back to school activities is to read "David goes to school", and discuss whether we would like David behaving like that in our classroom. We usually draw a "yes David" picture, and complete a David craft. I'm in the United States and have been "back to school" since August, but I still love reading about YOUR back-to-school prep! Happy new school year! Congrats on 32 weeks! :) We just read all about Australia's New Year in our US classes. How interesting! Our favorite BTS craft is our paper bag projects about each other. Thank you. Favorite Back to School craft is star goals we create for the year. Thank you for the giveaway. My school does a whole school scavenger hunt that is awesome! Thanks and congratulations! I like to do a back to school booklet that the kids complete and share as an intro about themselves.